AGENT -A living person at the site of a haunting. Some human agents act only as witnesses to the paranormal events while others are believed to be the method by which the haunting occur. Some agents may cause phenomena to increase, while others may be the entire source of the activity. How this works is as yet unexplained. APPARITION: - A special image that is sometimes referred to as a ghost, but is more like an imprint with distinct features that enables the witness to recognize it as a person or specific shape. They are usually connected to residual hauntings rather than spirit-related ones. APPORT: - A physical object that can materialize and appear at will and can include coins, watches, jewelry and even food. hey are often connected to spirits who interact with the living as the spirits cause items to appear and disappear in an effort to make themselves known. AUTOMATIC WRITING:- A method used by spirit mediums to obtain information from the next world. It is believed that spirits take control of the medium and cause them to write unconscious information on paper. BANSHEE:- A death omen or spirit that attaches itself to certain families. BOGEY:- A spirit that is particularly antagonistic toward humans, traveling or in groups to cause trouble. CHANNELING:- A modern method of spirit communication in which the spirits pass information directly to the medium, who then repeats the information for the listener. CLAIRAUDIENCE:- The experience of receiving paranormal information through auditory impressions, voices, and whispers. Many psychics are said to receive information from the spirit world in this matter. It can also be used to describe voices and whispers heard in haunted locations. COLLECTIVE APPARITION:- A type of ghost sighting that occurs when one or more people see the same apparition. CONTROL: - A spirit who acts as a mediums connection with the next world. Also, referred to as a "spirit guide". DEMATERIALIZATION:- The sudden disappearance of a person or spirit in full view of witnesses. DISCARNATE: - A word used to describe a spirit of specter...literally means "without flesh". DOPPELGANGER:- Meaning "double image", it is thought to be an exact spirit double of a living person. They are considered to be very negative in nature. EARTHBOUND: - Refers to a ghost or spirit that is unable to cross over at the time of death. Many spirits make the decision to remain behind by choice while others are too confused or frightened because of a sudden death or suicide to make the crossing. ECTOPLASM:- An organic material that was supposedly exuded by physical mediums durning seances as a way of proving contact with the spirit world. It would often take certain shapes. The substance was supposed to appear from just about any orifice of the mediums body. In more recent times, many researchers believe the substance had a natural form, created by fraudulent mediums during the Spiritualist era. ELECTRONIC VOICE PHENOMENA:- Voices and sounds that are alleged to be from the dead that are captured by electronic mediums on tape. ELEMENTALS:- A term used by Spiritualists to describe angry or malicious spirits. Others refer to them as "earth spirits". EXORCISM:- A ritual used primarily by the Catholic Church as a way of driving out demons or evil spirits from a living person. Some fundamentalists also use his term to describe the expelling of spirits from home or location. EXTRA:- A shape or a face that is said to have supernaturally appeared on film and cannot be explained away as fraud, faulty film or developing flaws. GHOST:- Generic term used for a number of different supernatural entities. 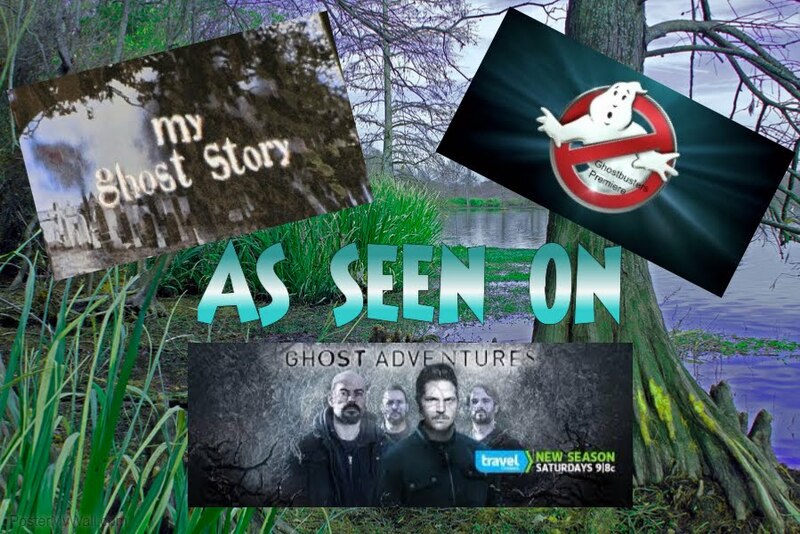 GHOST HAUNTING:- Various methods of investigating reports of ghosts and hauntings and determining their authenticity. GHOST LIGHTS:- Strange balls of lights that appear in specific locations, often for an extended period of time but which have no explanation. They are thought to be of natural origin, possibly pertaining to earthquakes, fault lines, railroad tracks or water sources, but remain a mystery. HAUNTING:- A repeated manifestation of supernatural phenomena in a specific location. 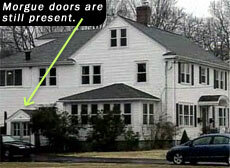 The activity may appear as physical apparitions, sights, sounds, smells or cold areas. Hauntings may continue for years or may only last for a brief period of time. LEVITATION: - The raising of physical objects without assistance. Thought to be caused by ghosts, levitation's were always popular during Spiritualist seances, when tables, chairs, and many other items were said to have moved or been lifted up off the floor. MATERIALIZATION:- The sudden appearance of a person or object in front of witnesses. ORBS:- Round, opaque lights that are captured on film and believed to be spirits, or some sort of paranormal activity. Although a number of legitimate orbs have been witnessed and photographed, the majority of the ones shown in photographs are nothing more than faulty photograph and light refractions imprinted on film. PARANORMAL:- A word meaning "unknown" or beyond the normal" that has come to refer to events that are unexplainable. PHANTOM:- Another name for "ghost" or "spirit", although interestingly, many use the word "phantom" to refer to ghosts that have been seen wearing cloaks or robes. PHENOMENON(PHENOMENA):- An event that is an outward sign of the working of the laws of nature or an extraordinary happening. POLTERGEIST:- Literally means "noisy ghost" in German. Although it actually refers to Traditional ghosts and hauntings and in other cases, it can be used to describe the work of a human agent. In this situation, the knockings and the movement of objects is caused by an outward explosion of kinetic energy from the human mind. Most poltergeist outbreaks are short-lived. PSYCHIC:- An all-encompassing word that is used to describe a person who is allegedly sensitive beyond the normal means. Such a person may be able to see and hear things that are not available to most people. PSYCHOKINESIS(PK):- The ability to move physical objects using only the power of the mind. In many poltergeist-like cases, human agents affect objects in an unconscious manner. RAPPING:-Can refer to sounds that occur at a location that is experiencing a haunting or to one of the earliest forms of spirit communication in which mediums and spirits work out a code by which questions can be asked and then answered by raps from the spirits. RECIPROCAL APPARITION:- A rare type of ghost sighting when both the spirit and the human witness see and respond to one another. SEANCE:- A sitting that is held for the purpose of communication with the deaf. At least one person in the circle is preferred to be a medium(or psychic), with the power of contacting spirits. SIMULACRA:- A word used to describe the faces and shapes that are often reported in photographs and in almost every kind of inanimate object including doors, buildings , clouds, trees and bushes. Usually, it is nothing more than the imagination of the witness making the texture of the object into a face or figure. SPECTER:- Another term for ghost. SPIRIT:- A discarnate being, or ghost, that exists in an invisible realm. SPIRIT PHOTOGRAPHY:- A term used for both legitimate attempts to capture ghosts and paranormal energy on film and also for the work of fraudulent photographers during the Spiritualist-era. SPIRITUALISM:- A faith based on the idea that life continues after death and that communication between the living and the dead can, and does, take place. SUPERNATURAL:- Events or happenings that take place in violation of the laws of nature, usually associated with ghosts and hauntings. TELEPORTATION:- The appearance, disappearance or movement of human bodies and physical objects through closed doors or over some amount of distance using paranormal means. Such events often are reported to take place during hauntings. WRAITH:- An apparition that is generally supposed to be an omen of death.